From our viewpoint, 2016 started and finished strong, but there was a long stretch in the middle when we had a hard time finding the quality of foreign TV series we are used to. Fortunately, several excellent shows arrived later in the year. This was also a year when competition between streaming TV services dramatically increased. 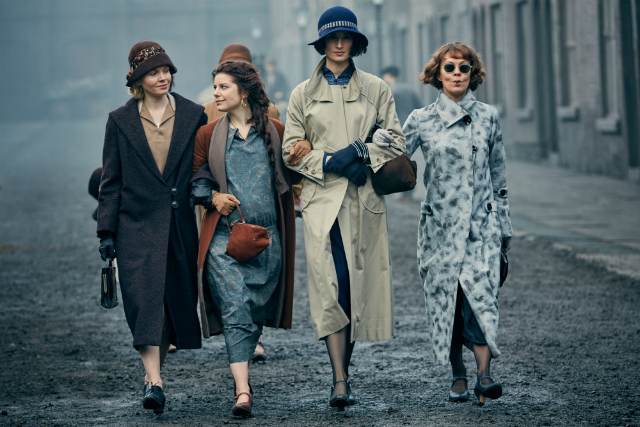 AcornTV emerged as a particularly strong player. Their foundation is British mysteries, but Acorn also has Australian, French, and Scandinavian series in the mix. Hulu and Amazon Prime have a limited number of good foreign shows, but both produce worthwhile independent series. Russia is interfering in the affairs of a foreign government, and the United States has left NATO. The premise of Occupied is even more realistic than when this TV series from Norway arrived on Netflix early in 2016. Occupied is a classic political thriller with a modern twist. There is action, conflict between nations and individuals, tension between the media and government, and a very troubled prime minister who may be in over his head. A very timely TV series to rewatch and kick off 2017. If you enjoy police procedurals and crime dramas and have not seen Happy Valley, put it at the top of your least. This series from BBC One, featuring Sarah Lancashire as Catherine Cawood, is a favorite of many of our readers. It’s no surprise. The writing, acting, and production are all excellent. Though Happy Valley is usually dark and grim, there is – at times – some British humor from the blue collar characters. The two seasons should be viewed sequentially. 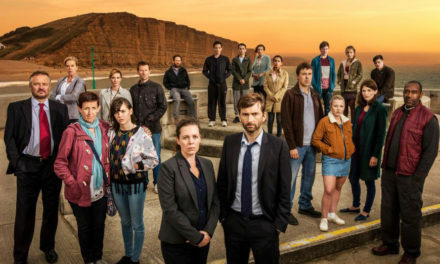 There are also reports of Happy Valley season 3, but it is more than a year away. 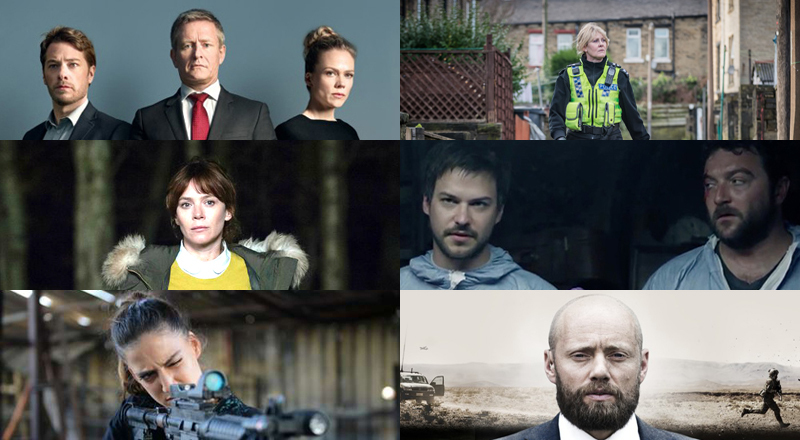 Speaking of darkness, Marcella easily matches Happy Valley, but the two TV series are very different. Marcella has more gloss, less grit. Both shows have strong female leads, but Marcella Backland has a looser grip on reality than Catherine Cawood. Marcella is a murder mystery and procedural where the line between guilt and innocence gets gray and blurry. As we get deeper into the story, it’s hard to pull away. We watched all eight episodes in a short amount of time. Despite a slow start and one very annoying character, Martin (he gets better with time), Spotless, a British and French co-production on Netflix, has stuck with us. We think it has a Dexter influence, but it’s also one of the more original shows we watched this year. We empathize with Jean, who cleans up blood at crime scenes, as he is unwillingly pulled into a dark underworld. Strangely enough, he seems quite at home there. Spotless gets bonus points for turning Mr. Bates from Downton Abbey into a mob boss. Fans of Homeland and 24 should love Fauda. It’s more realistic than either of those series. Fauda follows members of the Israeli Defense Force as they search for a Hamas agent once thought to be dead. We also view the events from the Palestinian side and find empathy for those on both sides of the Israeli – Arab conflict. To top it off, Fauda is tense and full of suspense from beginning to end. 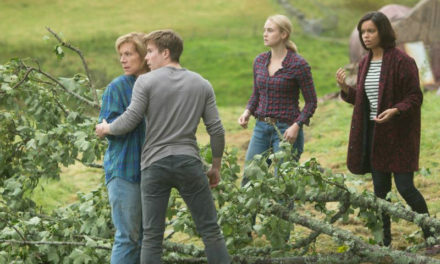 Though it slips in a couple of thriller cliches along the way, much to its credit, it does not end that way. As with last year, one of the year’s best foreign TV shows was a late arrival. Nobel, another series from Norway, compares and contrasts nicely with Fauda. It’s another view into the “war on terror,” with a story that moves back and forth from Afghanistan to Norway. Erling Riiser is a gentle warrior caught as a pawn in international deal making and power plays. Nobel is another Norwegian take on the classic political thriller. Our runners up include two TV series from Finland, Hooked (Koukussa) on AcornTV and the quirky Easy Living on Netflix, that are both well worth watching. Also, Peaky Blinders season 3 and Hinterland season 2 are deserving of mention. Like most of these series, they have compelling, but deeply flawed, leading characters. As always, if you like one of our reviews, please share it on the social media of your choice! You can also follow us on facebook and Twitter. 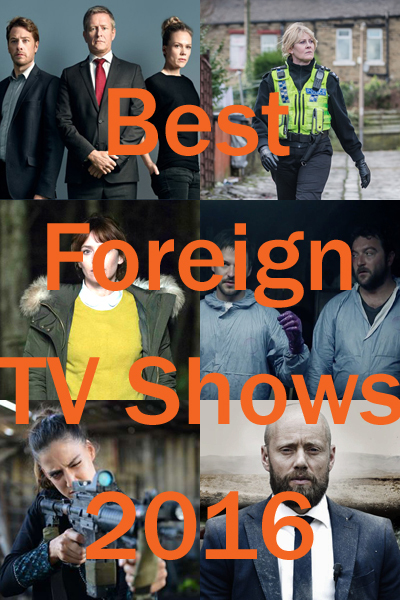 And, if you agree – or disagree – with our choices for best foreign TV series of 2016, feel free to comment below. NextDoes ‘No Second Chance,’ the TV Series, Deserve One?